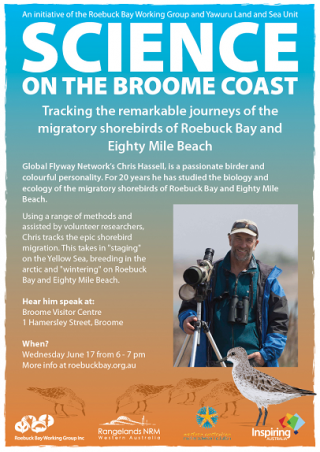 The 2015 Science on the Broome Coast series is underway again (program in coming days). The series showcases the exciting marine research underway on Roebuck Bay and the Kimberley coast. On June its Chris Hassell from the Global Flyway Network. In July, Lasers, Dinosaurs, drones and lasers, and a Ngalagun Roebuck Bay Marine Park. In August it’s bilby survival, then in October, jellyfish in Broome’s coastal waters and current sting treatments. The series is run by Roebuck Bay Working Group and Yawuru Land and Sea and sponsored by Inspiring Australia, Rangelands NRM, Western Australia Marine Science Institution. A newshort film fest on Sep 3, 2015 at the Mangrove Hotel, will celebrate the marine wonderland of Roebuck Bay as part of the Shinju Matsuri Festival in Broome. 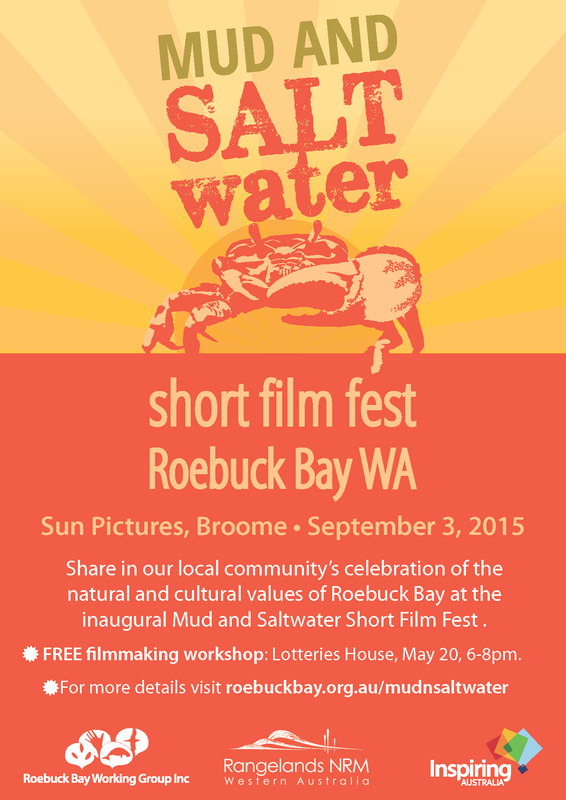 With Roebuck Bay a marine wonderland, there are plenty of enthralling stories to tell in a short film. 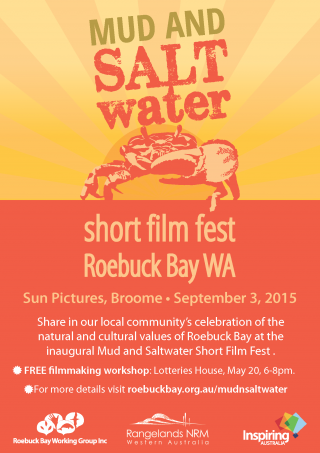 The Roebuck Bay Working Group invites filmmakers of any level to submit a short film (any length to 5 minutes including credits) with a focus on Roebuck Bay.